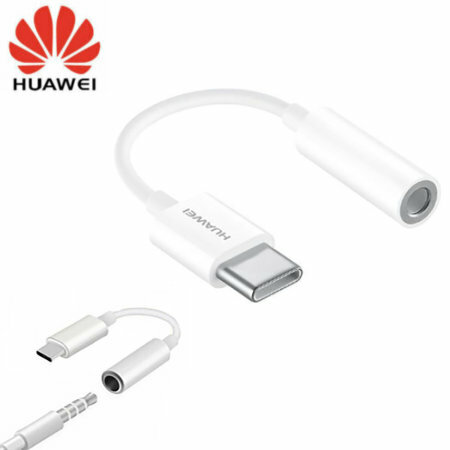 This Official Huawei USB-C audio adapter makes it possible to listen to music using your 3.5mm jack compatible headphones or earphones. This is ideal for devices that don't feature this port built into the phone or tablet. I bought this to replace the original adapter for my HTC U11. I had to install an app (audioswitch) to force audio through usb when using this adapter, but it works whereas many other adapters did not. The main down side to not having a headphone socket on the latest USB-C compatible smartphones and tablets is that you can't use your existing earphones or headphones that feature a 3.5mm jack. Well, now you can with the Official Huawei USB-C to 3.5mm Audio Adapter. Simply connect this adapter to your USB-C phone or tablet and enjoy music using your existing headphones and earphones hardware. The USB-C reversible connector allows you to insert the adapter into your smartphone or tablet with ease. No more awkward attempts to insert the adapter in the dark, just plug and play. This beautifully small adapter allows you to take USB-C audio capabilities wherever you go, so you can enjoy all your favourite music, podcasts and audio books using your existing 3.5mm headphones and earphones. As this audio adapter has been made by Huawei, you can rest assure that it has been made to the highest standard with the best quality materials.